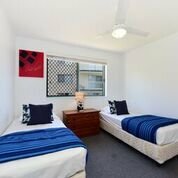 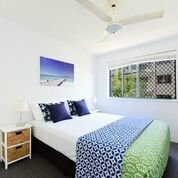 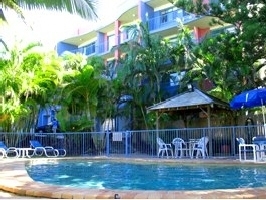 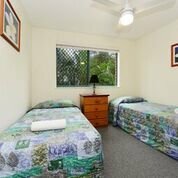 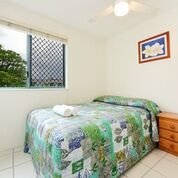 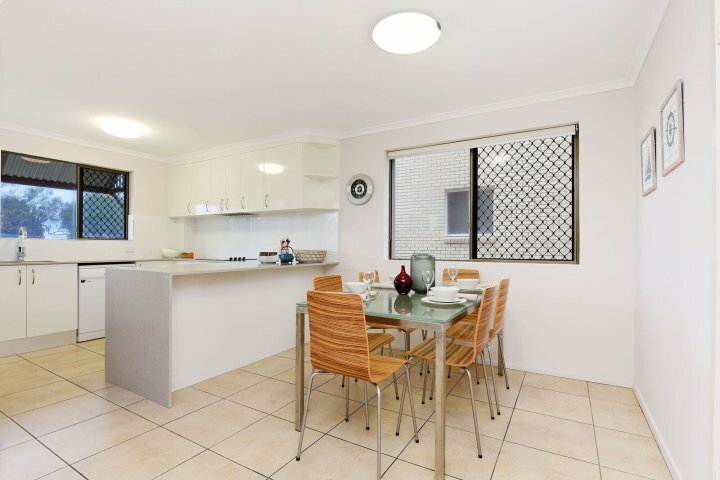 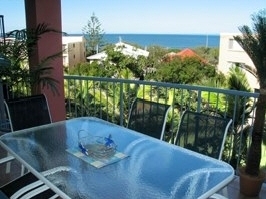 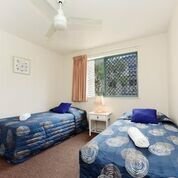 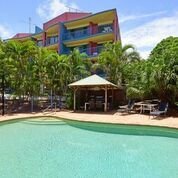 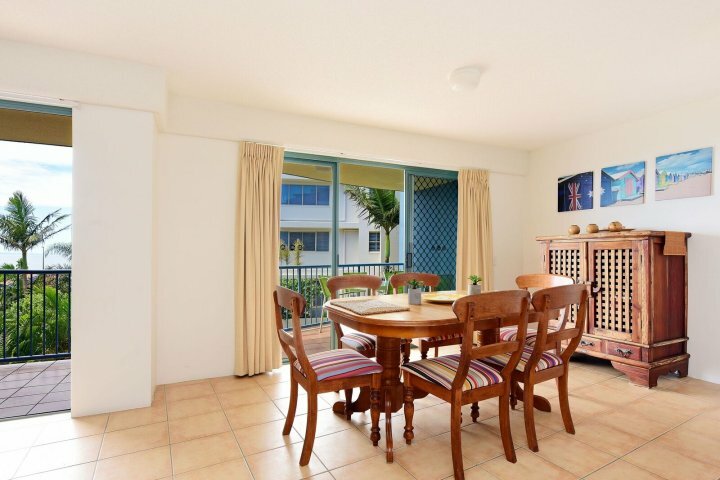 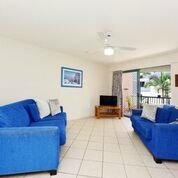 Lindomare is in a perfect position situated in the heart of Kings Beach. 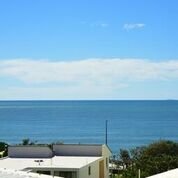 A leisurely 80 metre walk takes you to one of Queensland's best surf and swimming beaches. 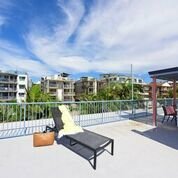 Explore the rocky headland, experience beach / rock fishing, or simply relax on the beach or by the pool... maybe just sit on your balcony and watch the ships go by. 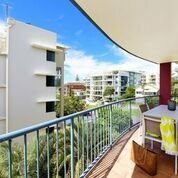 Wake up and stroll down to the beautiful Kings Beach for an early morning swim and to catch some breakfast at one of the great cafes in the area. 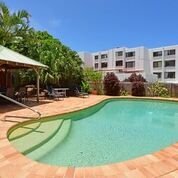 Have a swim and a sauna before a BBQ lunch by the relaxing landscaped pool. 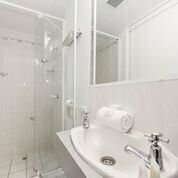 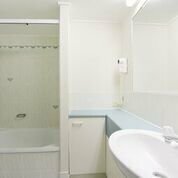 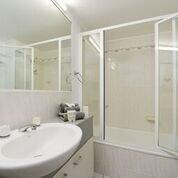 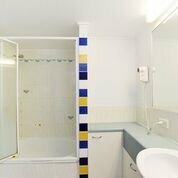 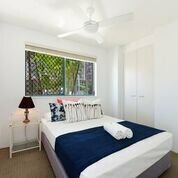 Each of the one, two & three bedroom apartments (some with ensuites) are light and spacious, fully self contained and tastefully decorated, with large private balconies. 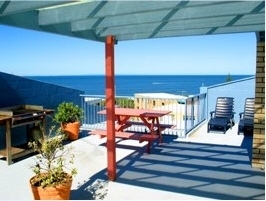 Most apartments also boast magnificent ocean views. 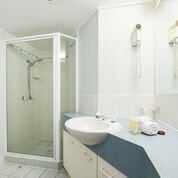 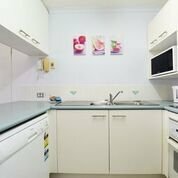 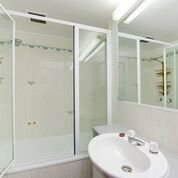 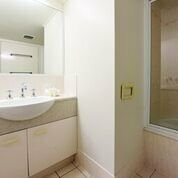 This light and airy 2 bedroom Apartment on level 1 has a fully equipped kitchen and bathroom with bath/shower combination and full laundry facilities. 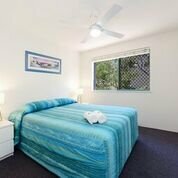 It is air conditioned, has a Queen ensemble and twin singles, a large flat screen T.V., balcony with outdoor dining, secure lock up garage and has capacity for 4 guests or 5 with extra bedding. 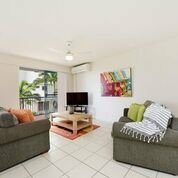 This fresh and bright, 2 bedroom apartment has gorgeous ocean views, fully equipped kitchen, bathroom with shower/bath combination and full laundry facilities, ceiling fans throughout and large flatscreen T.V. 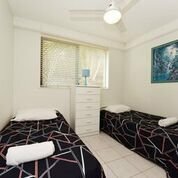 The master bedroom has a queen ensemble, the 2nd bedroom has twin singles and the lounge has comfortable 2 and 3 seater lounges. 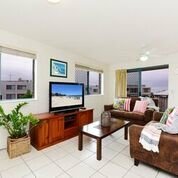 Relaxing on the balcony with seating for 6 will ensure your beach side break is happy and enjoyable. 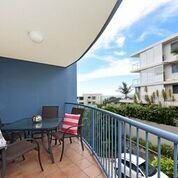 This light and airy 2 bedroom Apartment on level 2 has ocean views, fully equipped kitchen and bathroom with bath/shower combination and full laundry facilities. 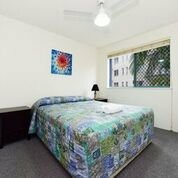 It is air conditioned, has a Queen ensemble and twin singles, a large flat screen T.V., balcony with outdoor dining, secure lock up garage and has capacity for 4 guests or 5 with extra bedding. 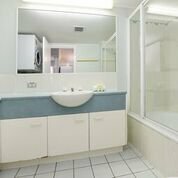 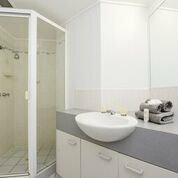 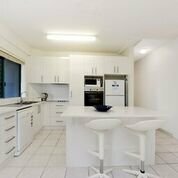 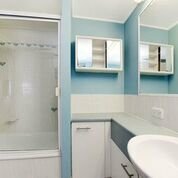 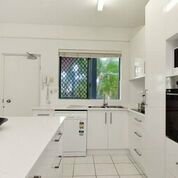 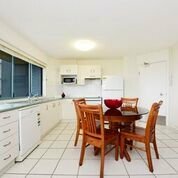 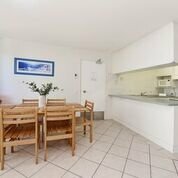 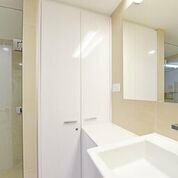 .This light and airy 2 bedroom Apartment on level 2 has ocean views, fully equipped kitchen and bathroom with bath/shower combination and full laundry facilities. 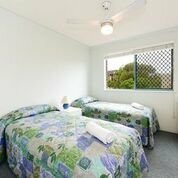 It is air conditioned, has a Queen ensemble and twin singles, a large flat screen T.V., balcony with outdoor dining, secure lock up garage and has capacity for 4 guests or 5 with extra bedding. 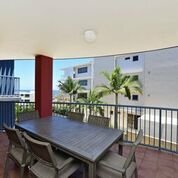 This gorgeous, 2 bedroom apartment on level 3 has fabulous ocean views from an extra large balcony and also from it's private roof top space. 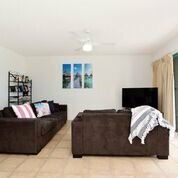 It has a fully equipped kitchen, bathroom with bath/shower combination and full laundry facilities, ceiling fans throughout, flat screen T.V., sofa bed and lock up garage. 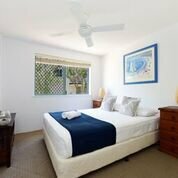 It has a capacity for 6 guests with extra linen for the sofa bed. 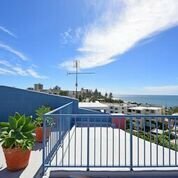 This gorgeous, 2 bedroom apartment on level 3 has fabulous ocean views from an extra large balcony and also from it's private roof top space. 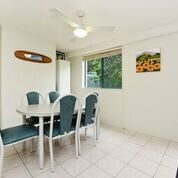 It has a fully equipped and renovated kitchen, bathroom with bath/shower combination and full laundry facilities, ceiling fans throughout, flat screen T.V., sofa bed and lock up garage. 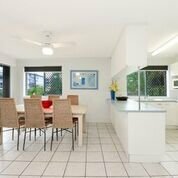 It has a capacity for 4 guests. 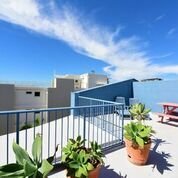 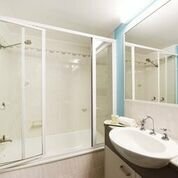 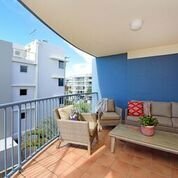 This tastefully renovated 2 bedroom apartment on level 2 has ocean views, a gorgeous fully equipped ktichen, bathroom with extra large shower recess and full laundry facilities. 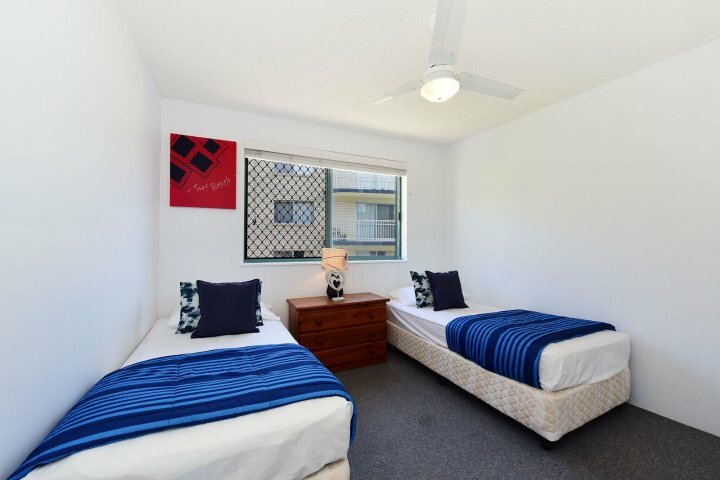 It's master bedroom has a queen en semble and the 2nd bedroom has twin singles. 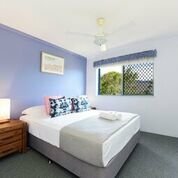 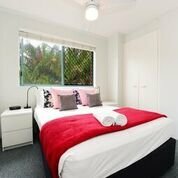 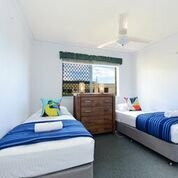 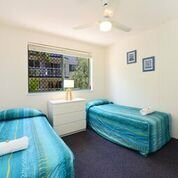 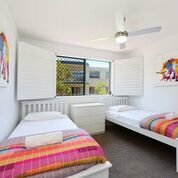 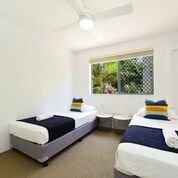 it has air conditioning, ceiling fans throughout, a large flatscreen T.V and DVD,, sofa bed, balcony with BBQ, secure lock up garage and capacity for 6 guests with extra linen for the Sofa Bed. 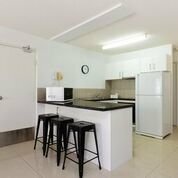 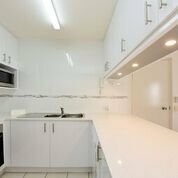 This beautiful and very comfortable, newly renovated 2 bedroom apartment on level 2 has a brand new, fully equipped kitchen, bathroom with spacious walk in shower and full laundry facilities, air conditioning, ceiling fans throughout and smart flat screen T.V. 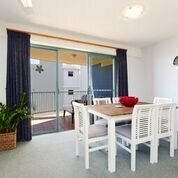 Complete with extra large balcony with new outdoor seating for 6 and lock up garage, this apartment has a capacity for 4 guests, or 5 with extra bedding and will ensure an enjoyable beach side holiday. 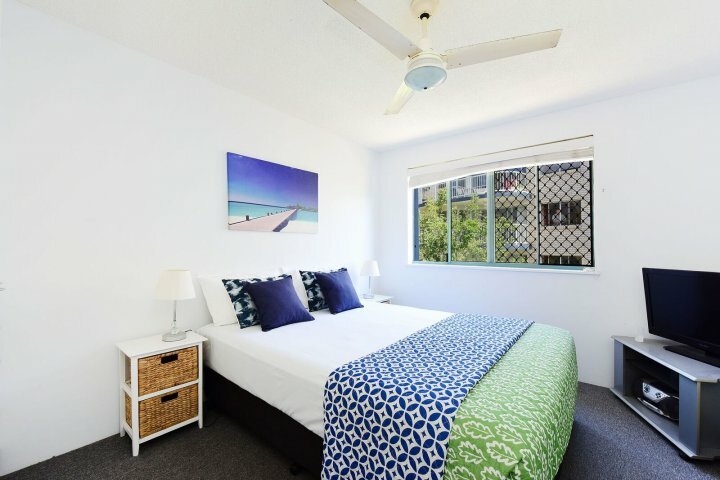 This fresh and bright, 2 bedroom apartment has gorgeous ocean views, fully equipped kitchen, bathroom with shower/bath combination and full laundry facilities, ceiling fans throughout and large flatscreen T.V. 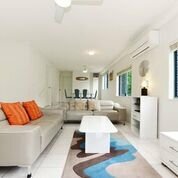 The master bedroom has a queen ensemble, the 2nd bedroom has twin singles and the lounge has comfortable 2 nd 3 seater lounges. 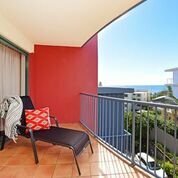 Relaxing on the balcony with seating for 6 will ensure your beach side break is happy and enjoyable. 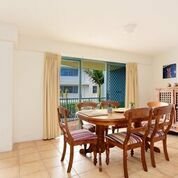 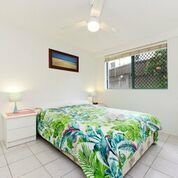 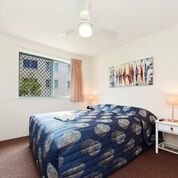 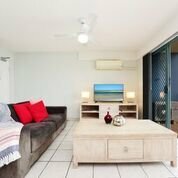 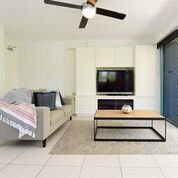 This warmly welcoming apartment on level 1, overlooks the pool and is bright, spacious and airy with air conditioning throughout, in both living area and bedrooms. 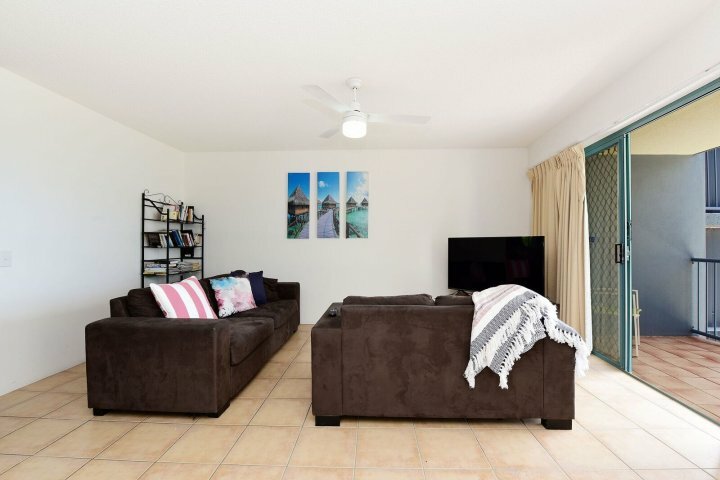 It has ceiling fans in all rooms, an ensuite, fully equipped Kitchen and Laundry with secure remote controlled garage accessed from the bottom driveway. 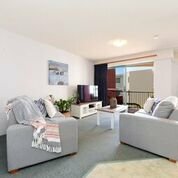 This bright 3 bedroom apartment on level 2 has fabulous ocean views, fully equipped kitchen, bathroom with bath/shower combination and full laundry facilities, 2 and 3 seater leather lounges, large flat screen T.V. 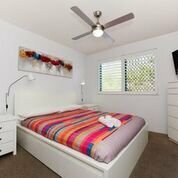 and ceiling fans throughout.. 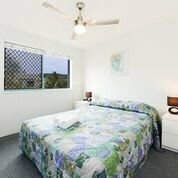 The master bedroom with Queen ensemble, En Suite and Flat screen T.V., second bedroom with double bed, 3rd bedroom with twin singles, outdoor furniture on the balcony and secure garage with remote control will ensure your beachside break is carefree, happy and comfortable. 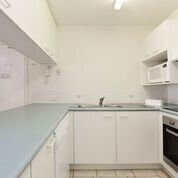 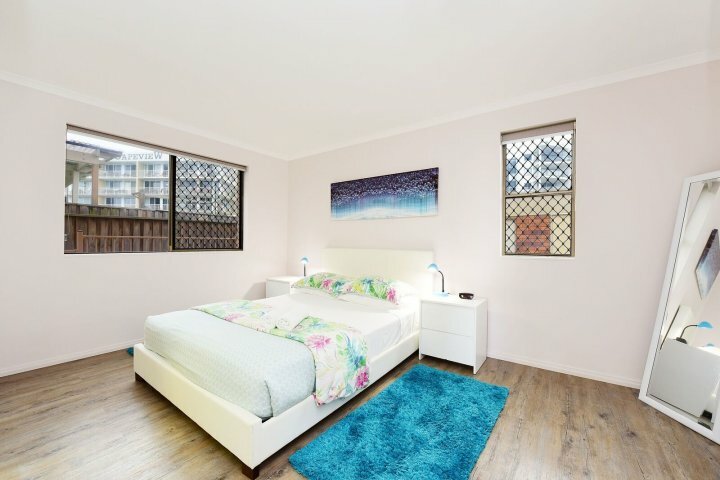 This spacious and attractive 3 bedroom apartment on level 2 has a fully equipped kitchen, bathroom with bath/shower combination and full laundry facilities, air conditioning and ceiling fans throughout. 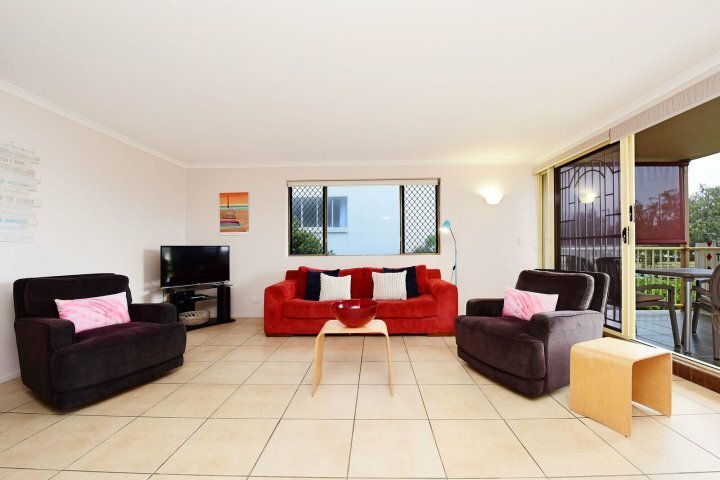 With new 2 and 3 seater lounges, large flat screen T.V. 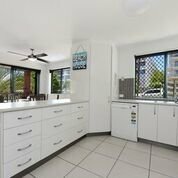 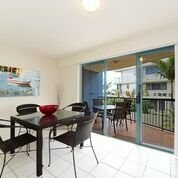 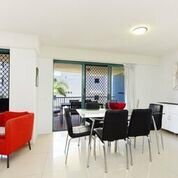 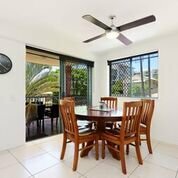 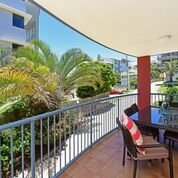 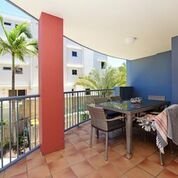 WiFi, balcony with outdoor dining for 6, master with En suite and Queen ensemble, second bedroom with double bed and 3rd bedroom with twin singles and off street parking with large vehicle capacity, this apartment will ensure an enjoyable beachside getaway. 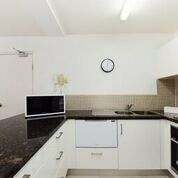 This bright and spacious 3 bedroom apartment on level 3 has sea views from the balcony and also from it's private roof top space with BBQ. 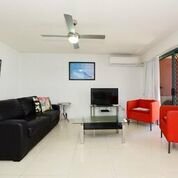 It's large fully equipped ktichen, bathroom with bath/shower combination and full laundry facilities, stylish dining suite for 6, 2 and 3 seater loungers, flat screen T.V., air condiionting, master bedroom with Queen ensemble and En Suite, second bedroom with double bed, 3rd bedroom with twin singles and lock up garage will ensure a comfortable and happy beachside holiday. 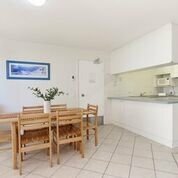 A/C 2 Bedroom Apartment located on the Ground Floor very light and spacious, fully self contained and tastefully decorated, with large private courtyard. 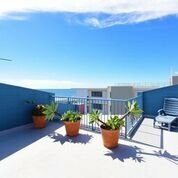 Our central location offers entertainment, restaurants, tavern, surf club, shopping, sandy beaches, fishing, boating and much more just a few minutes away. 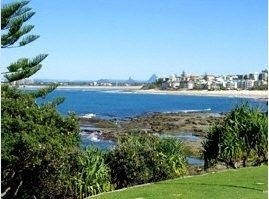 Caloundra is only one hours drive north of Brisbane, QLD, Australia and has a great climate all year round.